My dissertation gave me the joyful opportunity to visit exciting, innovative, passionate bookshops in the UK, all initiated and run by local people. In the process of my research, I have become fascinated by, perhaps obsessed, with the wonders and intricacies of community businesses. 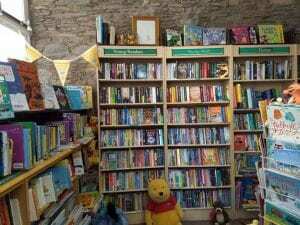 I travelled the country to find out more about each of these bookshops and to pick their brains about what makes them tick, why they began in the first place and how they fit into their local community, and into the UK’s book industry. 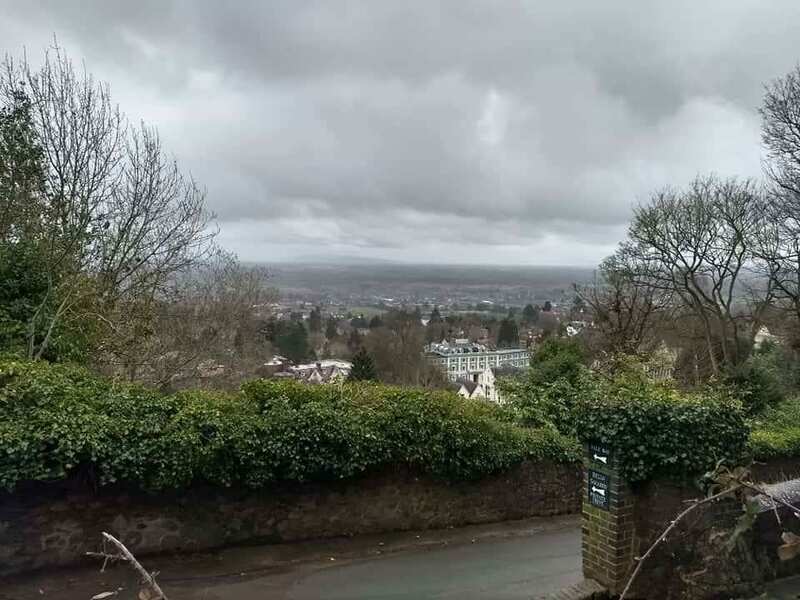 Next up, I travelled to the beautiful Malvern Hills to Malvern Book Cooperative. MBC is a co-operative society and have over 100 members. The shop is run by four part-time staff who are passionate about different areas of the business. 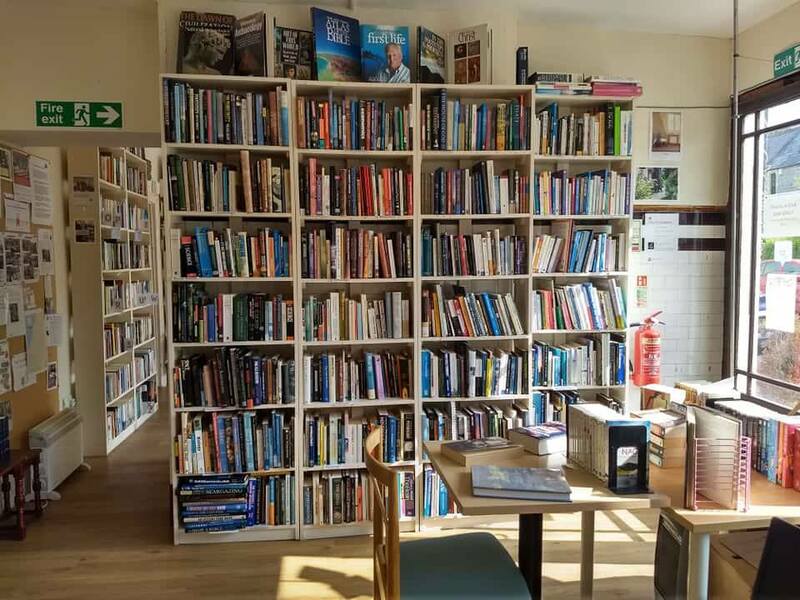 MBC have a café – in the three hours I was in the shop it was lovely to see so many members, locals and tourists pop into the shop, enjoying the tasty cake and browsing shelves filled with beautiful books. They also have an impressive events programme featuring a wide variety of authors. 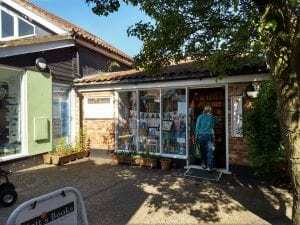 Whilst staying with my Gran, I took a day trip to the Norfolk town of Wymondham to visit Kett’s Books. KB is a Community Interest Company, a company created to benefit its community. KB serves a wide range of customers, supports and hosts numerous book groups, has a thriving schools programme and a large focus on ensuring their volunteers are utilised and nurtured. You can find out more about KB by checking out this lovely little report they produce every year. At around this time I was offered my first publishing job (yay!) and so the time available to finish my dissertation interviews disappeared. 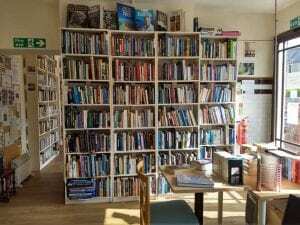 One day in May I managed to visit two: Clevedon Community Bookshop and Dartmouth Community Bookshop. 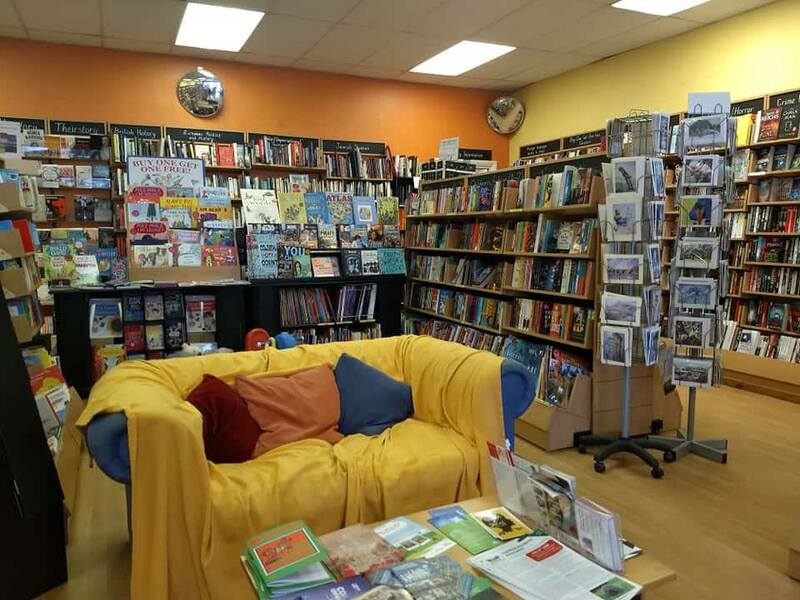 ClCB is the only second-hand community bookshop in the UK (or at least it was when I visited; there is now another in Glossop – George Street Books). They have an overwhelming amount of stock and incredibly dedicated staff who manage, catalogue, move and rebind their books. 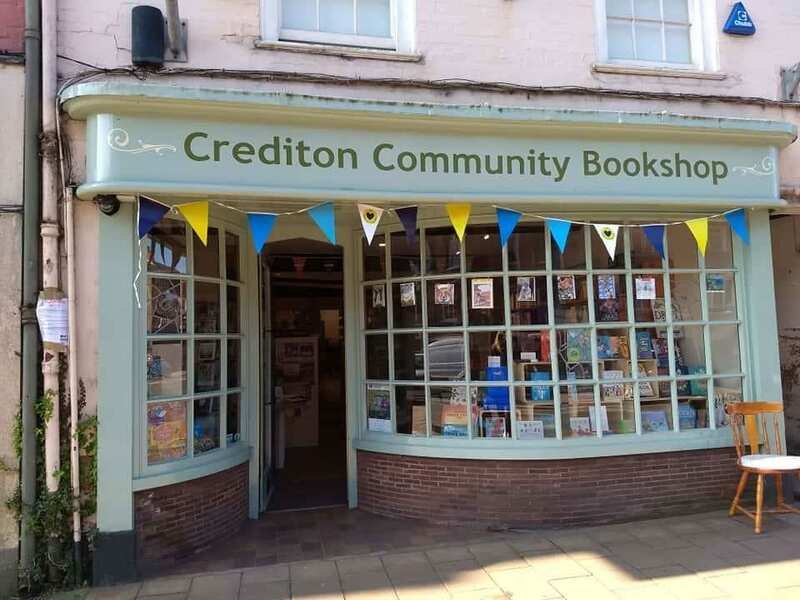 Due to the high value of many of the books they sell, ClCB have a thriving online business. They also host writing groups and local author events and have even published a couple of books of their own! After a speedy (but not too speedy) journey from North Somerset to South Devon, I arrived at Dartmouth Community Bookshop. DCB sits nestled in the cobbled streets of the seaside town and fits the atmosphere beautifully. The bookshop opened when the Harbour Bookshop (founded by A. A. Milne’s son) announced its impending closure. 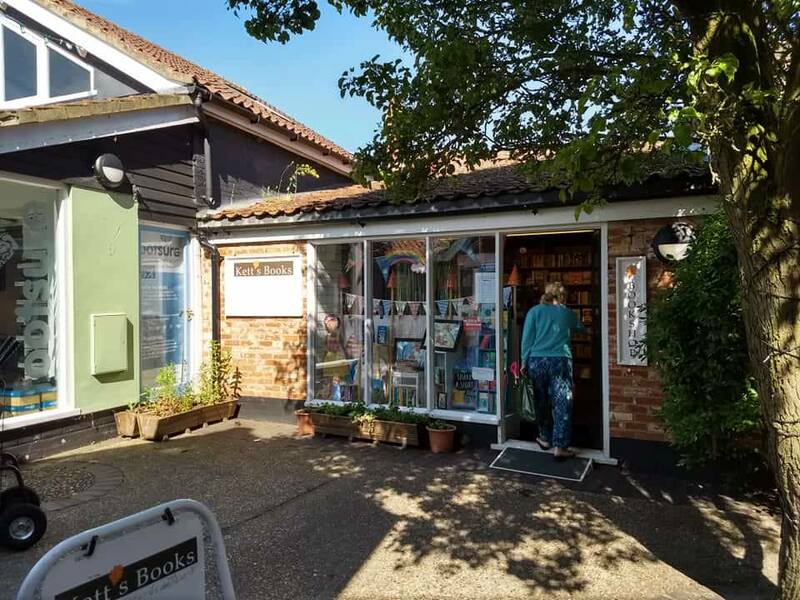 Locals didn’t want the town to be without a bookshop and so gathered together to create a community bookshop. 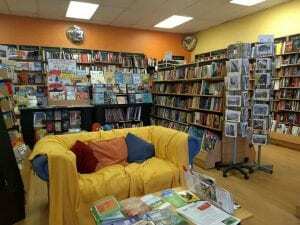 Dartmouth have a symbiotic relationship with the local library and, with their one paid manager and team of volunteers, have ensured the presence of a bookshop in Dartmouth. In the two working days before I started my new job I managed to finish off my interviews. 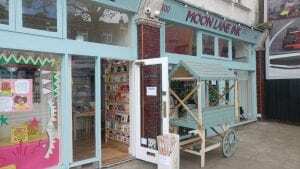 Due to Moon Lane Ink’s recent launch, it wasn’t possible to meet with the manager. I was, however, able to grab her for a 20-minute phone call and chat about all the exciting things they’re doing. MLI came about when Tales on Moon Lane, an innovative, award-winning bookshop in London, wanted to expand their social enterprise activities. In order to do this, they set up a Community Interest Community that aims to raise equality in children’s publishing. They achieve this by taking authors into schools, organising book fairs and class visits to the bookshop, and encouraging families in their reading habits. My last visit was to BookTrust, a children’s reading charity whose programmes aim to inspire reading for pleasure and ensure all children have access to books. They do this through gifting programmes and curating suggested reading lists across a variety of categories. 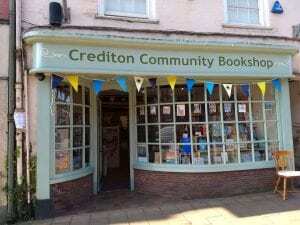 Whilst this charity obviously isn’t a community bookshop, it was fascinating to hear about the positive social impact they are having on children throughout the UK. Unfortunately, I wasn’t able to visit News from Nowhere (a radical bookshop in Liverpool) but if I ever have the opportunity to expand on my dissertation research they will be my first stop! These shops are all run by members of the local community and reflect the individuality of each location. If you ever get the chance, pop into any (or all) of them and ask about their story! What should we do? Reinforce our walls or tear them down? Lucy Hughes-Hallett, the Costa Award-winning author of The Pike, poses this question in her beautifully-written and engaging debut novel Peculiar Ground. She tells the story of Wychwood, a great house and its surrounding park which was enclosed by a wall in the 17th century. We trace Wychwood’s journey from its inception in the 17th century, when it was designed by the awkward, reticent landscape-maker Mr Norris under the orders of the ambitious and troubled Lord Woldingham who now chooses to enclose himself and his family in Wychwood after being thrown out of his ancestral home during the English Civil War. The restoration of Charles II leaves the inhabitants of Wychwood uncertain and afraid; these turbulent emotions continue to blur the boundaries between security and confinement, between ‘prison’ and ‘paradise’. We do not only meet the initial inhabitants of Wychwood but return to the great house nearly four hundred years later to meet a new lively cast of characters. I was initially disappointed when Mr Norris’s narrative seemed to end and we skipped forward to 1961, as another wall goes up in Berlin, but I recovered from that quickly we I was introduced to the innocent yet perceptive voice of Nell, the eight-year-old daughter of Wychwood’s land agent Hugo Lane. As strange and contradictory as it sounds, it is walls that both divide the inhabitants of Wychwood from the outside world but join them together with its past inhabitants. Christopher Rossiter and his wife Lil, the new owners of the grand house and park, along with a plethora of frustrating, comic and overall secretive guests, have built their own personal walls and seem to have forgotten how to let people in. Indeed, the Rossiters in particular seem to be unsure of whether it would be worth it to bring down their walls. We learn that tragedy precedes enclosure as throughout the book we gain glimpses into a tragedy that revives itself nearly four centuries later and joins two very different families in their immeasurable grief as well as adding an element of melancholic magic to a book otherwise focused on realism. The reader follows the Rossiters, the Lanes and the other guests of Wychwood until 1989. I must admit that it was delightful to meet a grown-up Nell and Flossie. Sometimes the narrative can seem a little crowded but even then, the writing is engaging and thoughtful. Hughes-Hallett displays a writing style that shifts effortlessly between perspectives and mediums, smoothly switching from the main narrative to letters and newspaper articles. It was easy to become wound up in her characters’ lives. My reactions to her diverse ensemble ranged from wanting to have a long chat with Flossie to the urge to yell at the immensely frustrating Benjie. 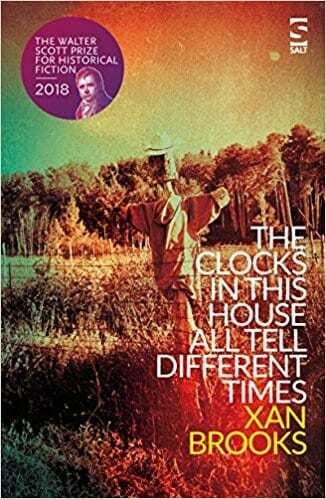 Peculiar Ground is a large novel and I did not initially expect to get through it as quickly as I did, but the narrative is so vibrant and pulsing with energy that you find yourself compelled forward, forgetting the fact that it is long past midnight and you have to get to work the next day. Paula Cocozza’s debut novel How to be Human is one that will remind you of multiple stories you’ve read in the past, while remaining wildly and uniquely different to all of them. Wild animals? Check. Love that borders on mania? Check. The city and nature butting up against each other in sharp contrast? Check. The story follows Mary, a woman in her late twenties living in Hackney as she navigates the world after the breakdown of an intense and controlling relationship. Her life now, it seems, consists mostly of a dull job, an irritating boss, a mother conspicuous only in her absence and the histrionics of her next-door neighbours. With an endless expanse of eventless days stretching out before her, is it any wonder that Mary turns her attention elsewhere? Namely, to a fox. While the infestation is considered by the rest of the neighbourhood to be a nuisance or even a threat, Mary grows fond of one fox in particular – she only one she ever sees, though the neighbourhood insist that there are many of them. This fondness develops into ardour, develops into obsession as we start to doubt the stability of Mary’s mental state and her reliability as a narrator. As the novel progresses, Mary becomes convinced that the fox is leaving gifts for her; she then begins to give romantic descriptions of “her Fox” and tells her diminishing human contacts that she is “seeing someone new”. She begins to exhibit the same behaviours she believes the fox is showing towards her – possessiveness and protectiveness – which are the same qualities that seemed so oppressive in her ex. She stops going to work and starts crawling around on all fours in the wilderness behind her house. 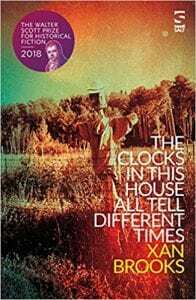 All the while, the wilfully childless Mary begins to feel more and more drawn towards her neighbour’s newborn, Flora, an attraction that cannot fail to evoke a sense of dread in the reader. All is not well with poor Mary. At its heart, the novel is an unsettling look into loneliness, human connection and the boundary between civilisation and wilderness. These themes are made clear because although Mary is a purposefully dull character stuck in a dreary life, she is incredibly reflective and aware of the metaphors that surround her, making her demise all the more disturbing. The reader has the sense that the world described through Mary’s eyes is not the world as it really is; all characters in the book are presented as difficult to understand and empathise with because that is how they appear to Mary. Their actions often seem hyperbolic, random and unmotivated; hence the trouble Mary is experiencing with forging friendships. The relationships she has had in the past are given equally little attention – specifically, the relationship with her ex-fiancé and with her mother. Neither is fully explored, which on one hand leaves them feeling unsubstantiated, but on the other makes a wider point about the way our protagonist connects (or fails to connect) with other people. The reader is denied fleshed-out or realistic relationships and is left wanting – just like Mary. Reading this book feels like a game of Buckaroo that never ends. To Mary, time seems stretched and scenes are unnaturally elongated, with a matter of hours spanning multiple chapters. This is certainly atmospheric but can also make for a frustrating read at times. The tension keeps building and building without respite, intensified as the reader is sucked into Mary’s world almost against their will. Absorbing and subversive, Cocozza’s debut will certainly give you some food for thought. Interscript is hosting a panel event, ‘Publishing the Future,’ covering topics of diversity and inclusivity within the publishing industry as well as digitalisation and the future of academic publishing. With fantastic speakers, including guests from Knights Of, don’t miss your chance to ask the panel your questions and the opportunity to hear their thoughts on the future of the publishing industry. The event is this Thursday so make sure to reserve your seat here! 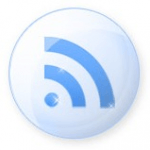 Interscript is an academic student-led journal and magazine that publishes research and articles on publishing topics. We welcome submissions from professionals, academics, and postgraduate students. International Women’s Day & a Fabulous Longlist! So it’s International Women’s Day and, if there wasn’t already enough excitement surrounding the celebration of all the wonderful women in our personal lives and those who have shaped lives for women across the ages, the Women’s Prize for fiction has also released their 2018 longlist! Set up in 1996, the Women’s Prize for Fiction (previously Bailey’s Prize and the Orange Prize) ‘celebrates excellence, originality and accessibility in women’s writing from throughout the world’. The winner receives £30,000 and a limited edition bronze known as a ‘Bessie’. The shortlist will be announced on 23rd April and the winner announced on 6th June. Get reading and decide your favourites!! Every year the beginning of March brings World Book Day – a celebration of authors, illustrators, books and reading. The campaign gives children in over 100 countries the chance to read/own a book and is often marked by children dressing up as their favourite literary character (or whatever character their parents can scramble together). 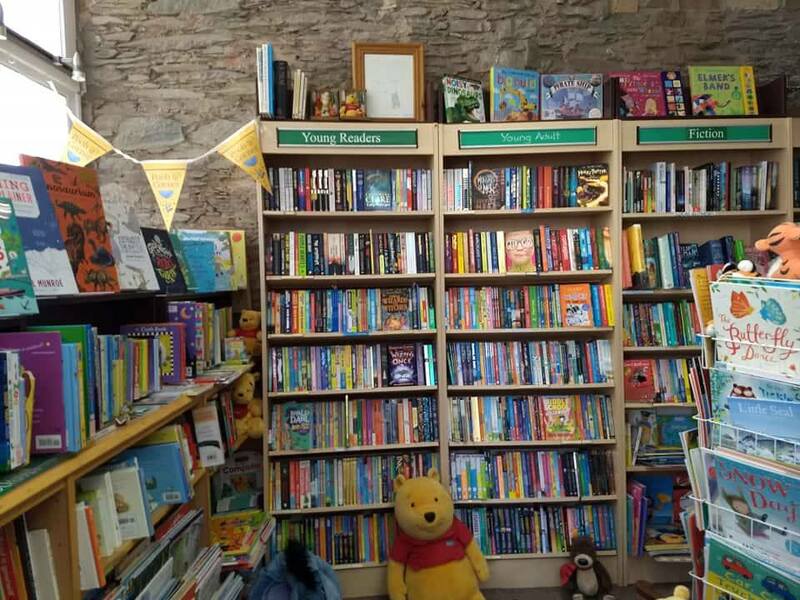 For publishers, it is an opportunity to drive more children into bookshops and encourage children to read for pleasure. Lots of authors every year write a book as part of the campaign and bookshops across the UK sell these titles. This year, Penguin Random House organised the single largest volunteering effort – donating over 6,000 books to the local communities and with 500+ colleagues visiting over 130 schools, libraries and children’s centres (although it was rather affected by the snow!). Here is a little history of the campaign, its values and this years WBD books! Now in its 21st year, the WBD campaign aims to ‘encourage children to explore the pleasures of books and reading by providing them with the opportunity to have a book of their own’. It does this by sending 15 million book tokens to schools across the UK along with resource packs containing activities, ideas and display material. It is all possible thanks to National Book Tokens Ltd, publishers and booksellers. The tokens are each worth £1 and, to ensure that every child can purchase a whole book (as opposed to half…), ten exclusive new books are released as part of the WBD initiative. The tokens can also be used to get £1 off any book or audio book worth over £2.99 at any participating bookshop. For teens, there are now also five titles for only £2.50 – so only £1.50 with a WBD token! 1. Why did you start your booktube account? Truthfully – I was living in Austria and had a lot of time on my hands and nobody to talk to about books, so it seemed like an obvious solution to a problem. Now I have much less time and a lot more ‘real life’ people to talk to about books – but I keep it up anyway because it’s such a lot of fun. 2. Who are some of your favourite booktubers? I love Eric at The Lonesome Reader because we have very similar reading tastes and Jen Campbell because she is so knowledgeable! Lauren at Reads and Daydreams was the first channel I ever started watching and I also really love Simon of Savidge Reads because he makes me laugh. 3. What do you think is the most difficult thing about booktubing? 4. Talk us through how you film an average video for your account. First I’d think about what I want to talk about – if it’s just a regular chatty video like a round-up it won’t need too much scripting, but if I’m going to talk in detail about a single book or topic then I’ll definitely do some research or at least think about what I’m going to say before I press record. Then I’ll wait one (or two or three) weeks to be in the mood to be on camera and have good lighting. After I’ve filmed, I spend about an hour editing (I used to take me way longer because I edit out loads – I umm and ahhh so much). Then I design the thumbnail, upload the video and spend a little while longer faffing around with the description, cards and end screens. Oh, and I also reply to comments as much as I can. Writing all that out has made me realise that it’s actually quite time consuming… hmmm. Assignments? What assignments? 5. What advice would you give to someone interested in booktubing? Give it a go and see if it’s for you! You won’t regret trying. Your first video will probably be a bit rubbish because they always are – if you’re like me, you’ll feel awkward on camera and you won’t know how to edit or upload or any of those things, but it absolutely doesn’t matter. The Booktube community are suuuuper friendly and welcoming and they don’t care if your lighting is bad or if your audio quality isn’t great (I film on my phone, nobody cares). You really do have to learn by doing and it’s so easy once you get started. “Ok, that’s all from me guys, don’t forget to hit thumbs up if you liked this and hit the subscribe button so that you never miss any of my videos!!! !” (I’m joking I don’t say that). Thanks so much to Annie!